Never mind the fact it's a beta, or that it's being thrown open to anyone with an internet connection, some people wanted to get into the Titanfall beta so bad they were willing to pay for it. 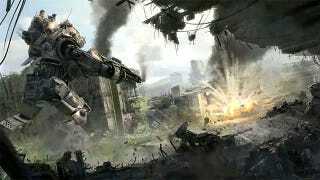 At time of posting, there are over 800 listings on eBay for Titanfall beta codes. Most are priced starting at $0.99, which really wasn't that bad a deal to get in right now (well, the PC ones anyway, since that beta isn't open yet), but others were asking for as much as $20-50. Not all of them went ignored and unpaid, either. Quite a few of the cheaper ones were snapped up, while GameSpot caught someone who paid $35. For an Xbox One code. The day before it went open.